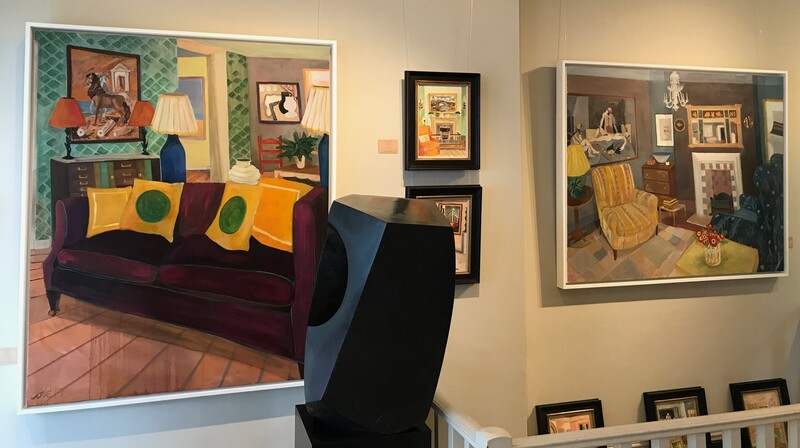 Last night we had the opening of Lottie Cole’s exhibition ‘Living with Art – Collectors’ Interiors'. This is the imaginative and original concept that inspires Lottie’s recent work - painting the homes of collectors as she imagines or dreams they might have looked. 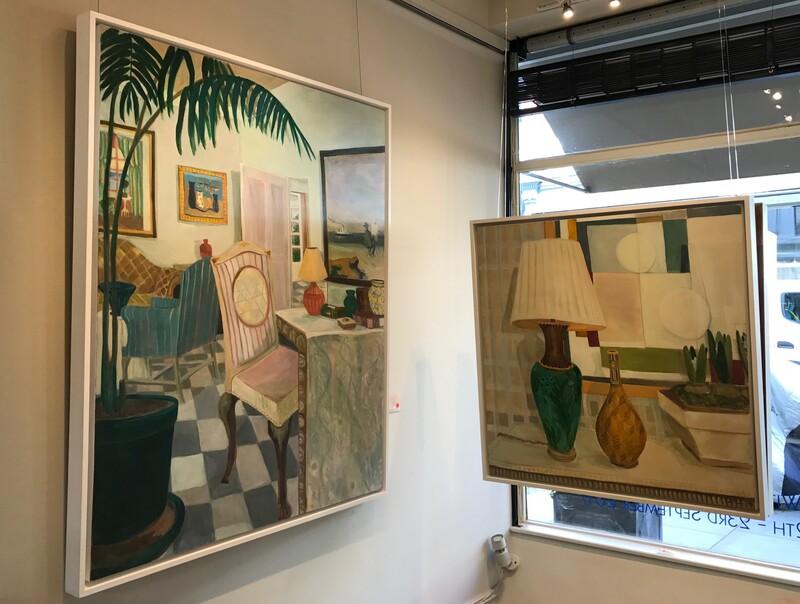 The warmth and richness of colours in Lottie’s paintings brighten up the gloom of these increasingly Autumnal days and it is a delight to be able to enjoy them on the gallery walls for the next ten days in Park Walk. 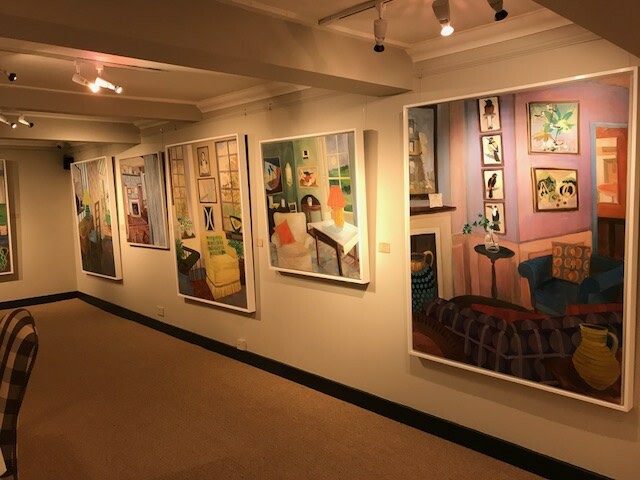 Some of the paintings by famous artists that are depicted in Lottie’s works were originally in the collection of the Late Lord and Lady Attenborough. 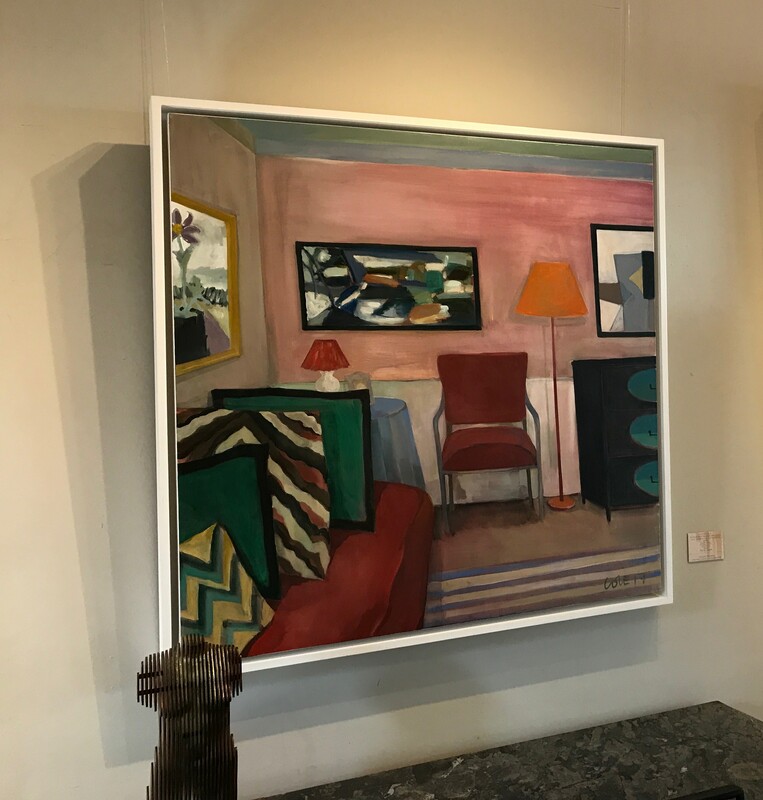 One example is the Christopher Wood in ‘Interior with Christopher Wood and Striped Sofa' (below). 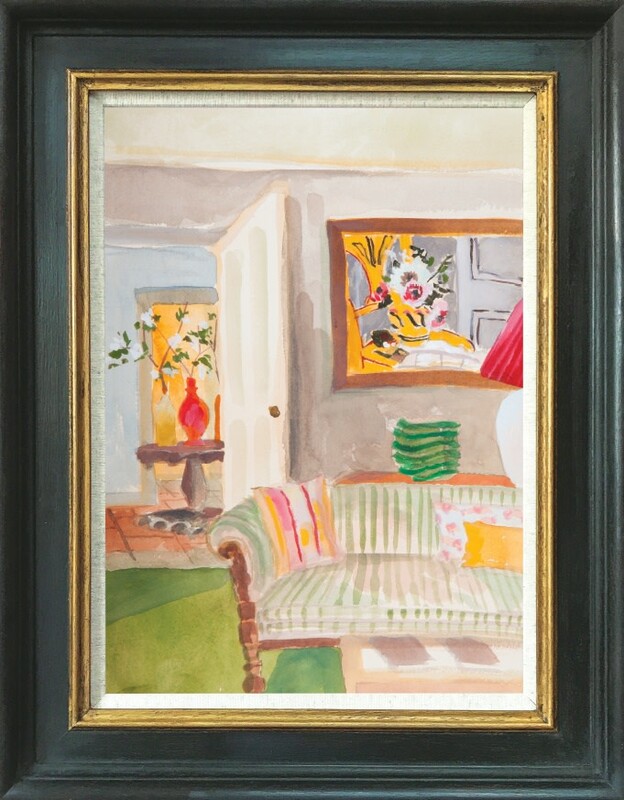 This was sold at Sotheby’s as part of the Attenboroughs' unrivalled collection of Modern British paintings, many of which they purchased in the early days of their marriage, making them a priority before they could even afford carpets or curtains. It was lovely to meet Molly Mahon, a good friend of Lottie’s, who attended the private view and who is a fabric and wallpaper designer. Also in attendance was Lottie’s husband Graham Haworth, who is one of the Founding Directors of Haworth Tompkins Architects, who have led projects for the National Portrait Gallery, the Victoria and Albert Museum and the London Library amongst others. Lottie's work is instantly recognisable and quite unique and would be an asset to any collection. The exhibition continues until 23rd September 2017.